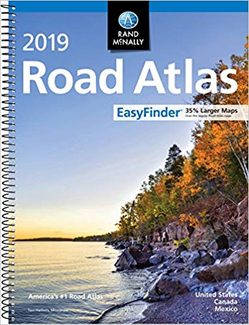 This Midsize Spiral bound Atlas from Rand McNally is perfect for light travellers. With page sizes of 8" x 11", Spiral binding allows you to open pages to lie flat without damaging the spine. And now with 35% larger images!